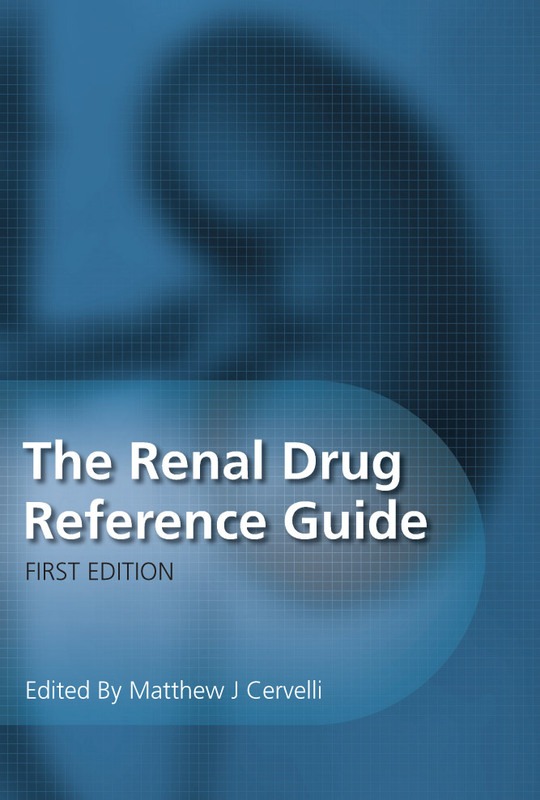 Welcome to the online tour of ‘The Renal Drug Reference Guide'. 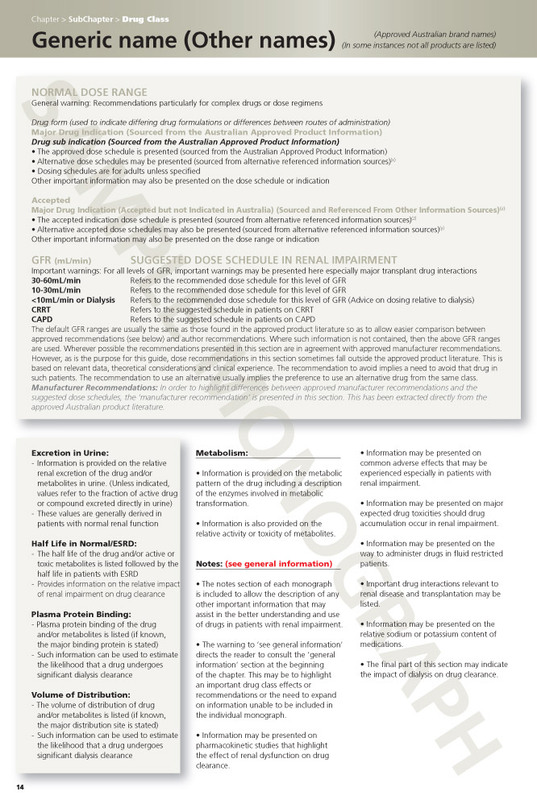 Please take the time to click on and view various pages from the guide highlighting aspects of the design, layout and content of the publication. 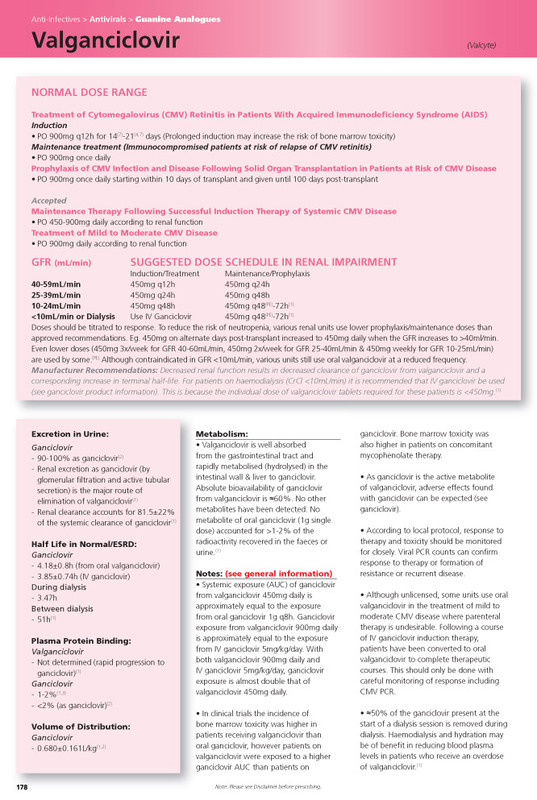 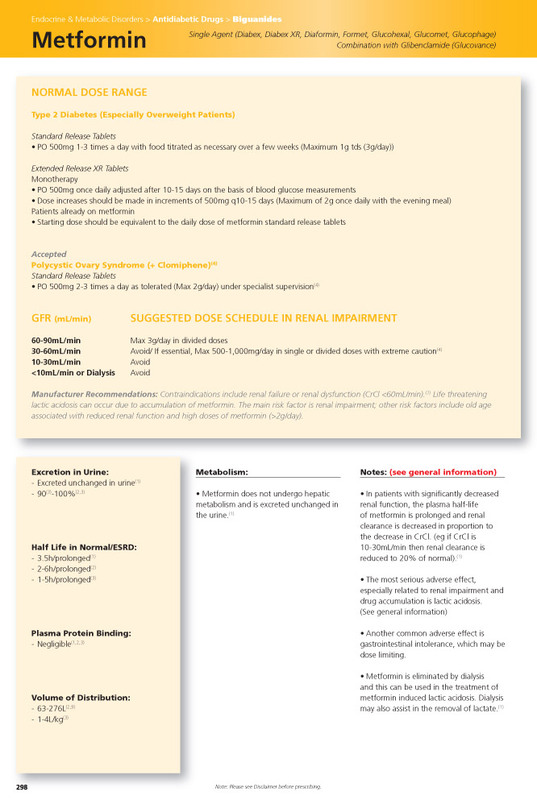 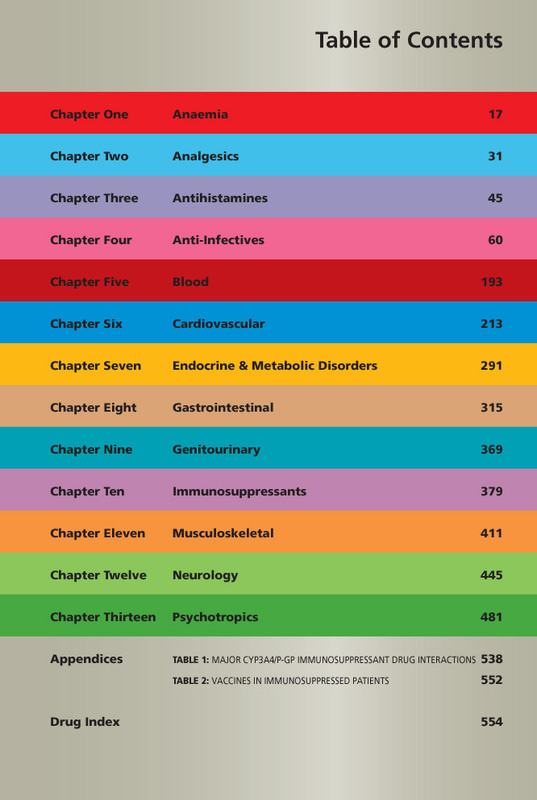 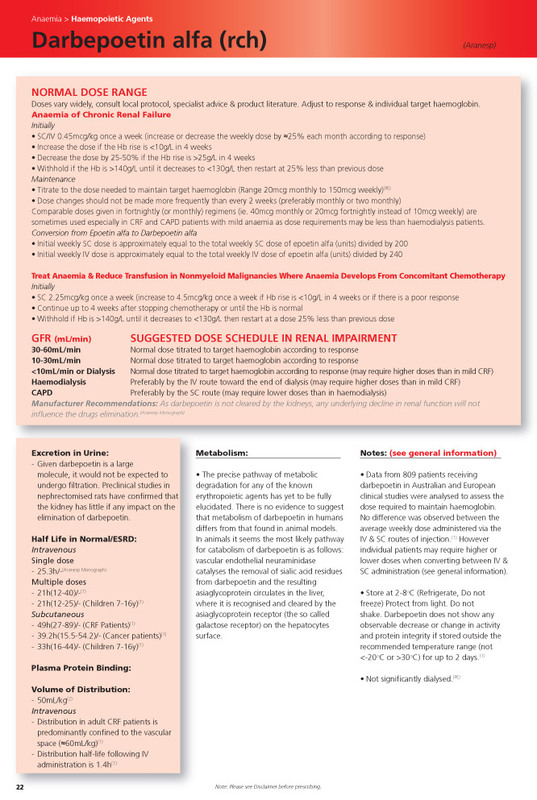 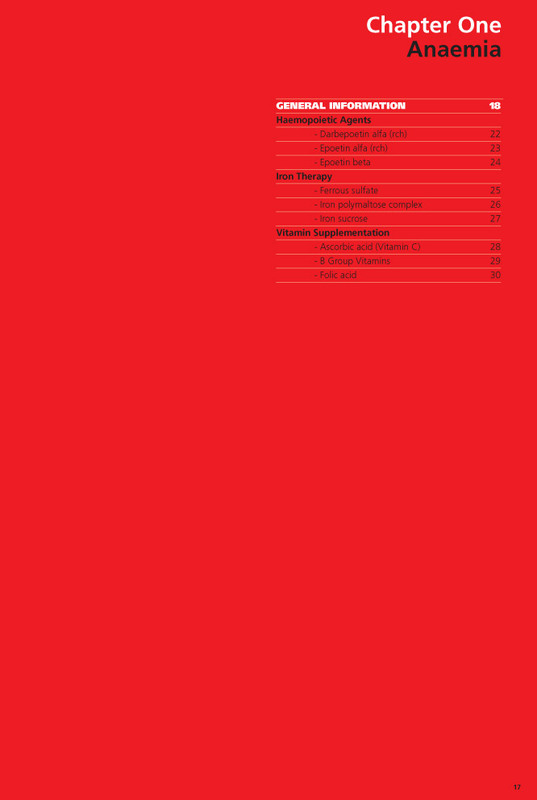 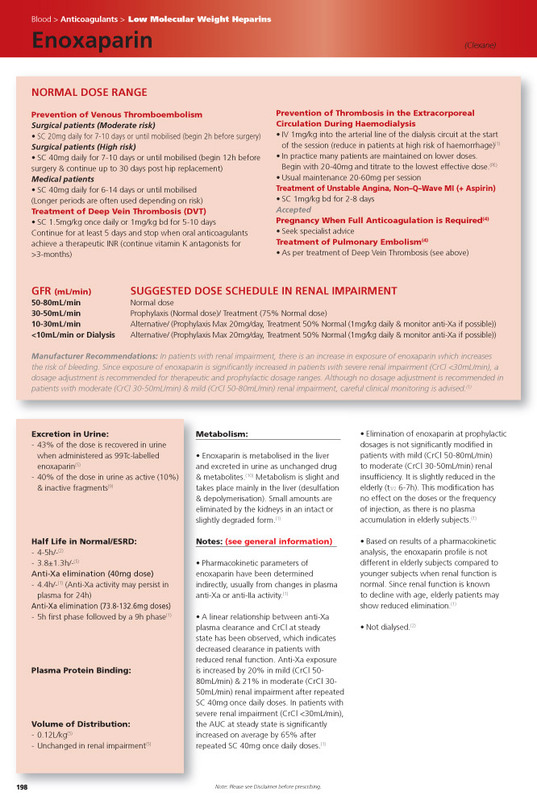 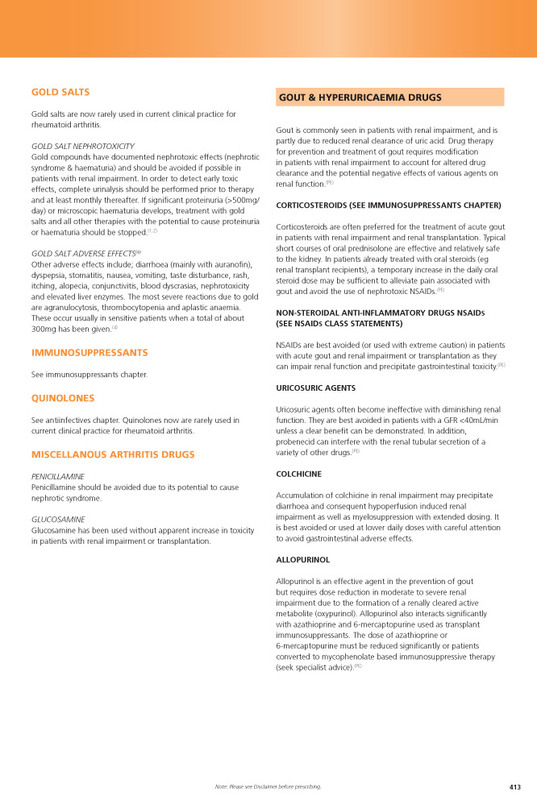 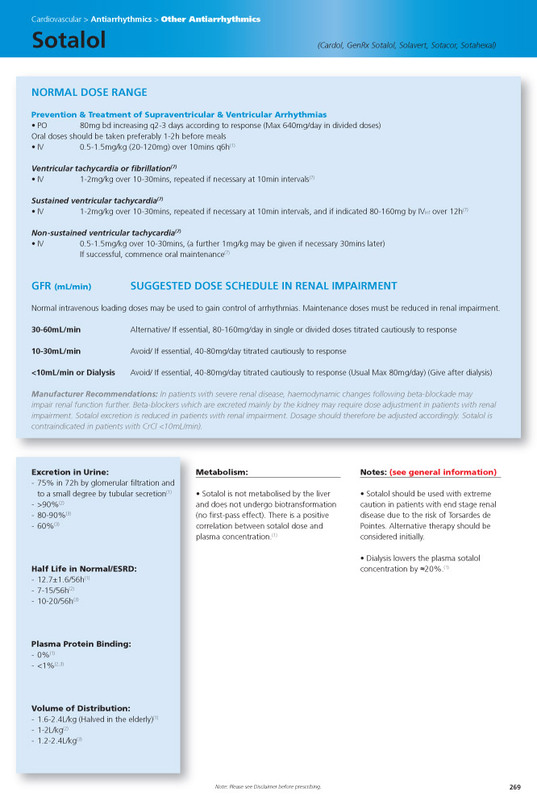 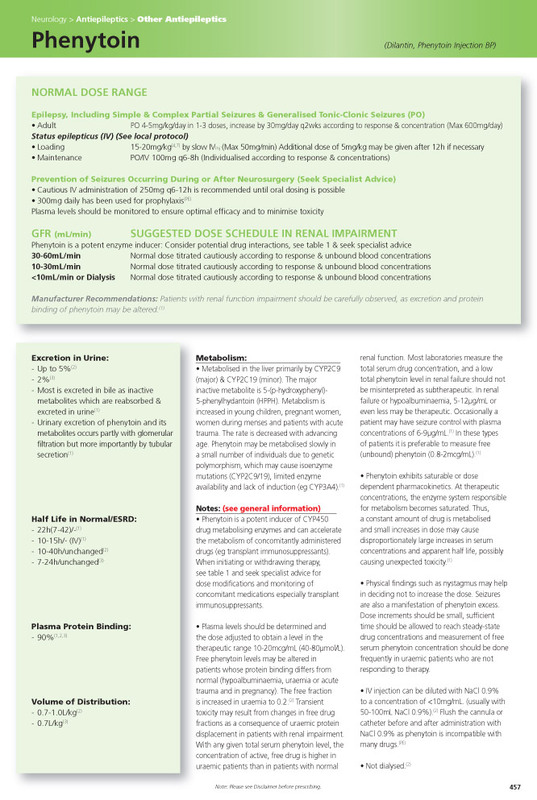 Following introductory principles on the use of drugs in patients with renal impairment, the guide is structured into 13 colour coded therapeutic chapters including; anaemia, analgesia, antihistamines, anti-infectives, cardiovascular, endocrine & metabolic disorders, gastrointestinal, genitourinary, immunosuppressants, musculoskeletal, neurology and psychotropics. 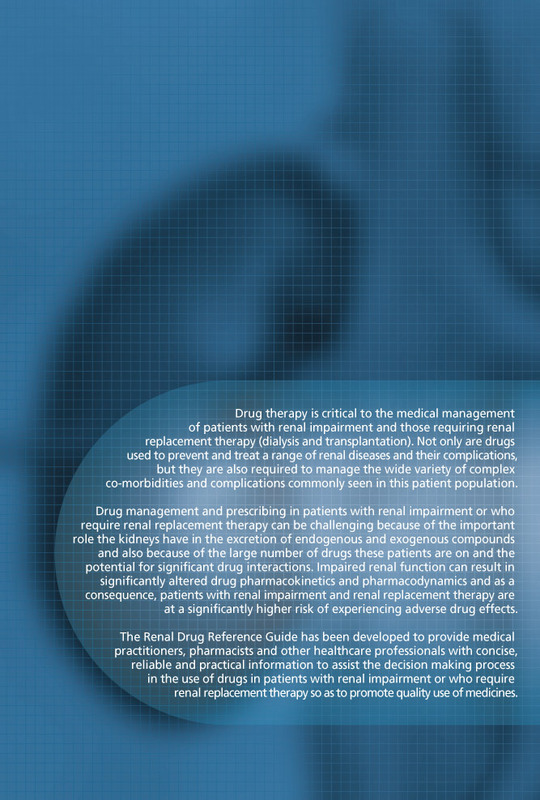 Each chapter contains general introductory statements that provide general information on the use of particular drugs or drug classes in patients with renal impairment or transplantation. 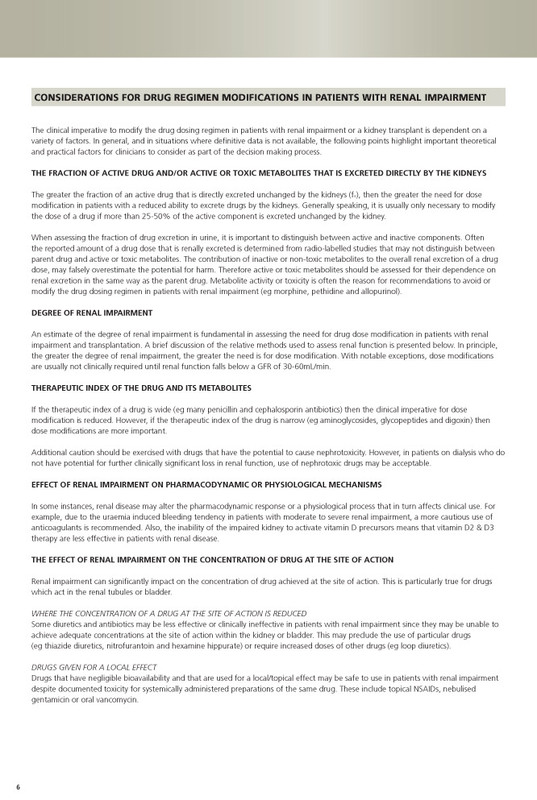 General comments, comparisons, class statements, adverse effects or specific interactions are described in these introductory statements particularly where they relate to one or more drugs from the same or similar classes. 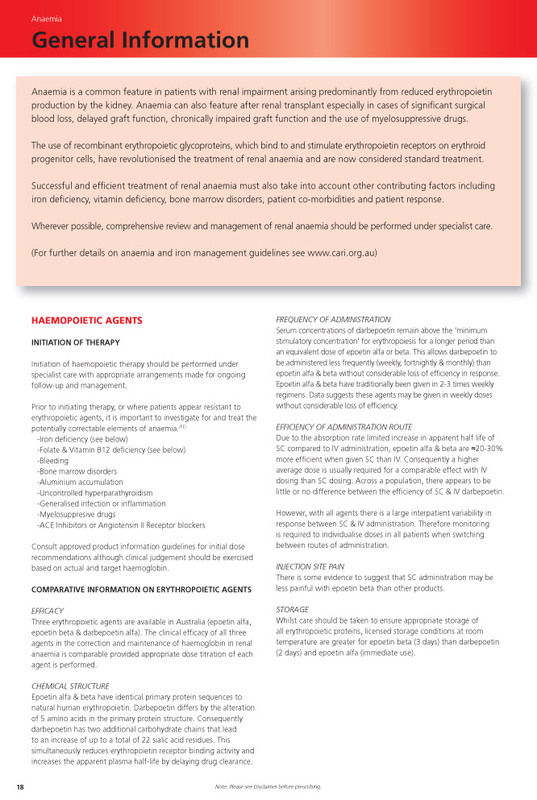 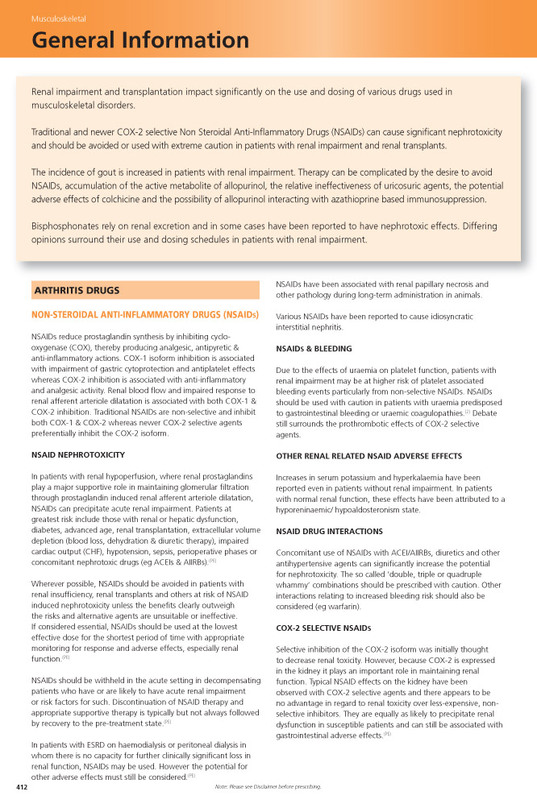 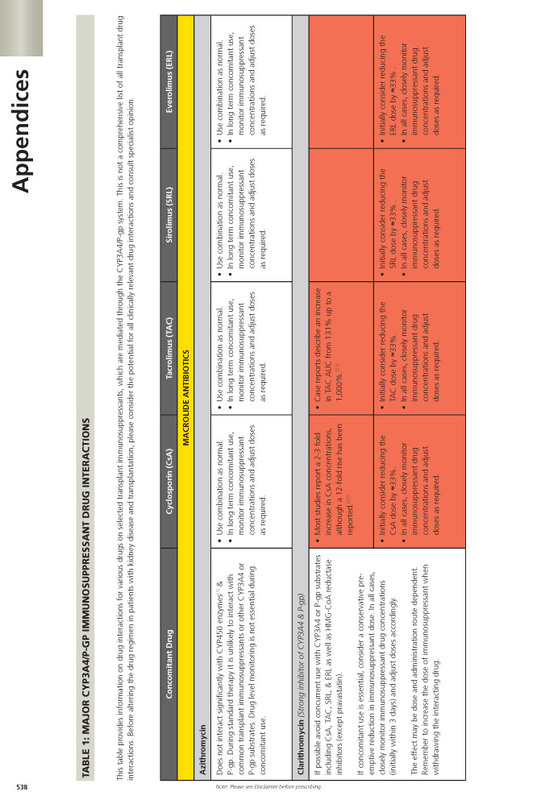 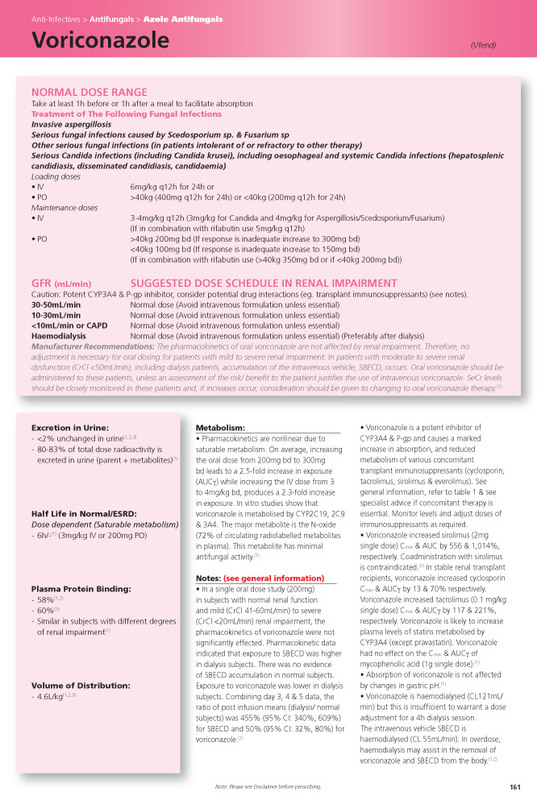 The guide also contains a table with management recommendations for common CYP3A4 or P-gp mediated transplant immunosuppressant drug interactions. 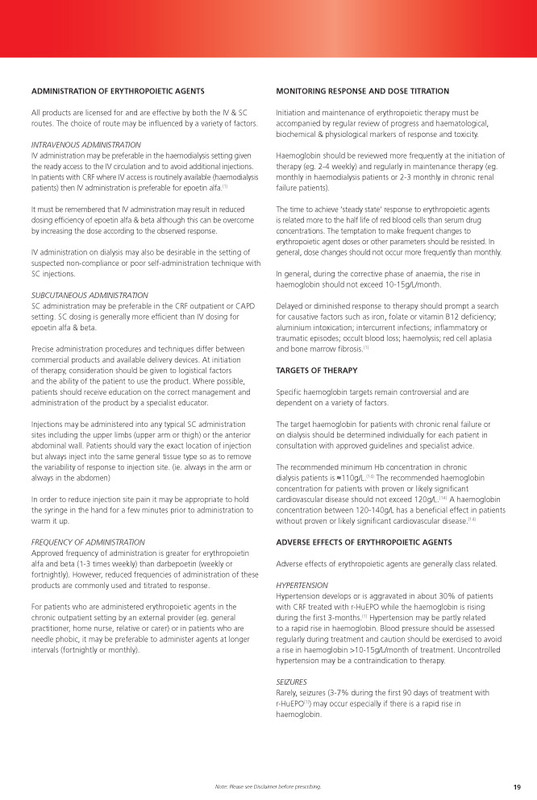 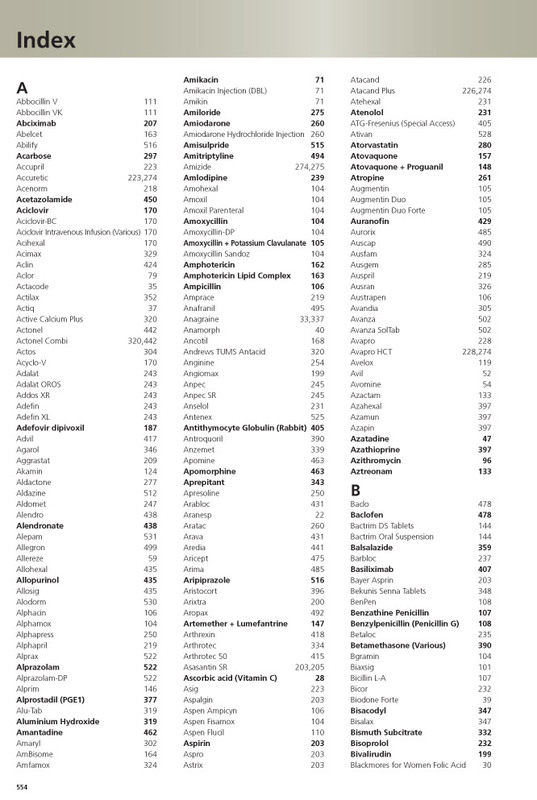 A table of vaccines contraindicated inimmunosuppressed patients is also included. 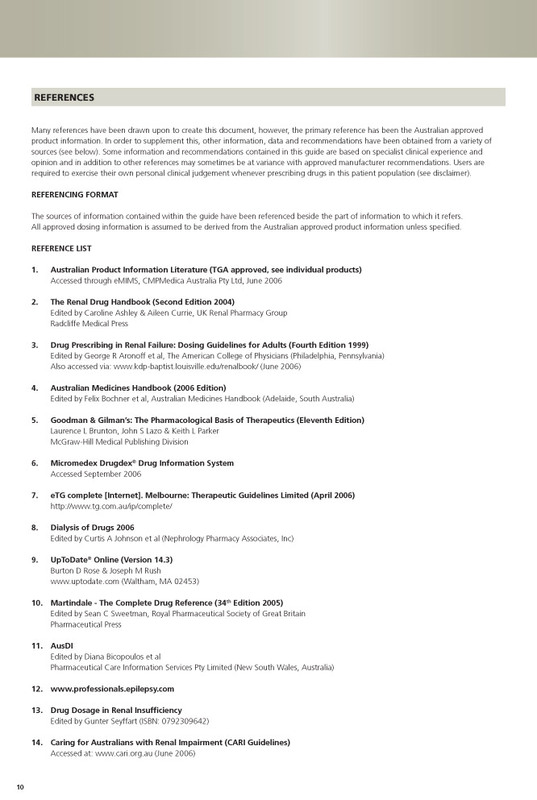 The book is indexed according to Australian approved generic and trade names for easy referencing.